Who doesn't like nudes & golds when it comes to make-up ? I love it, it's the go to look when your creativity stifled. Yet sometimes it can need a slight umph every now and again. 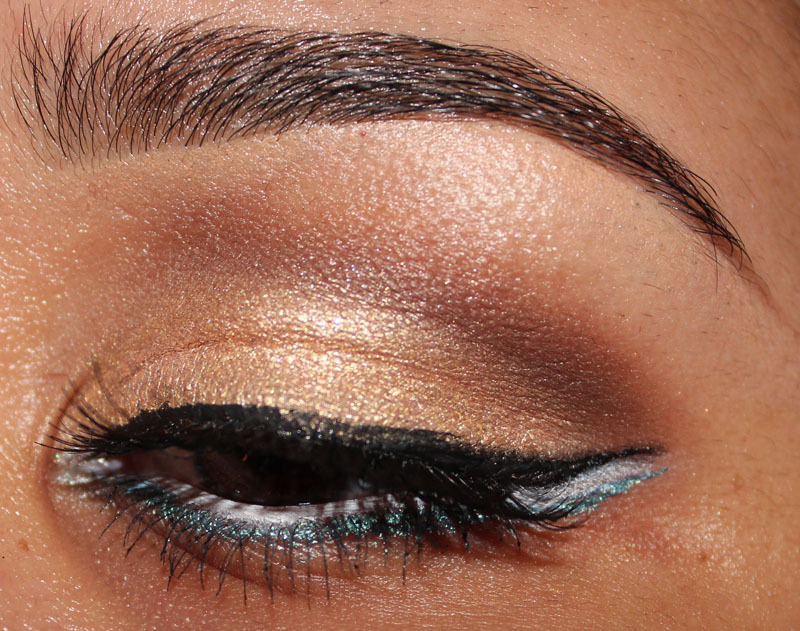 Bold eyeliner either top or bottom can be that way forward. Gold Pop ! liquid eyeliner with a cat eye. 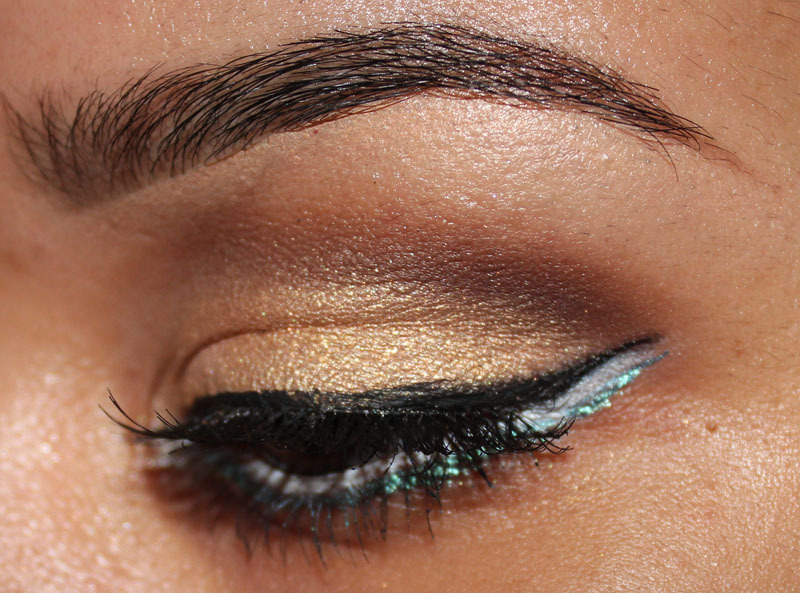 This is such a gorgeous look! The metallic blue looks so pretty against the gold. I have got to try this, love it! 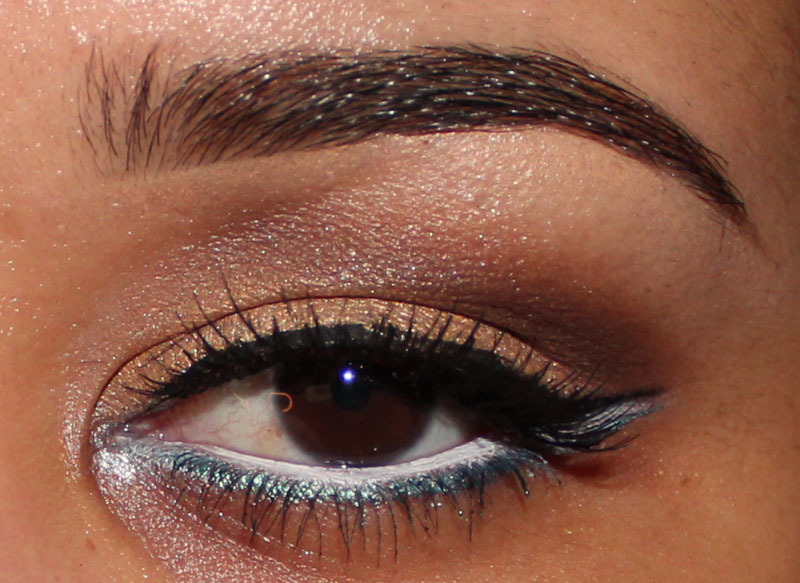 Gorgeous look honey,I loveeeeee need2start wearing my eyeshadows again! So so so pretty, I love this look so much! beautiful! Your eyebrows are AMAZING! 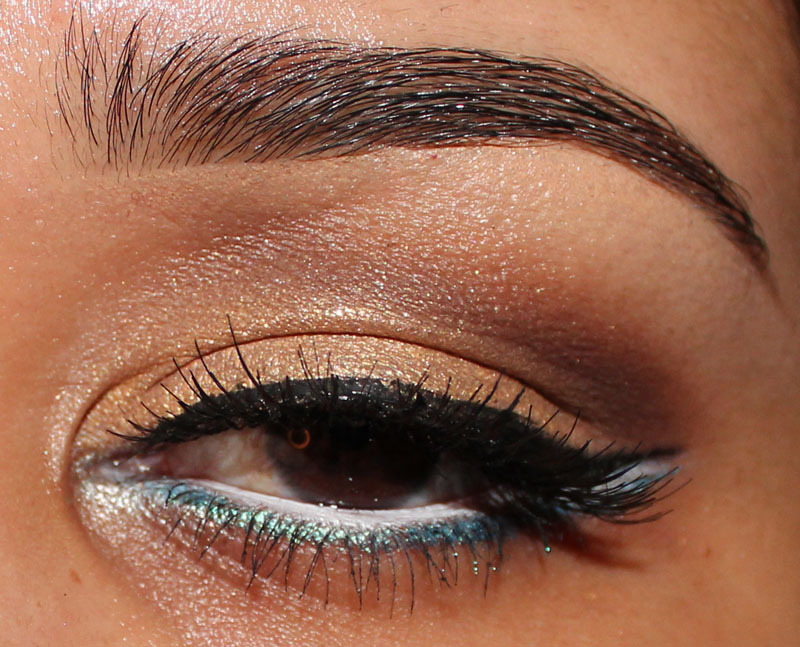 Loving the pop of blue in there and your brows are fierce. Work it mama! <3 Omg this is just gorgeous!